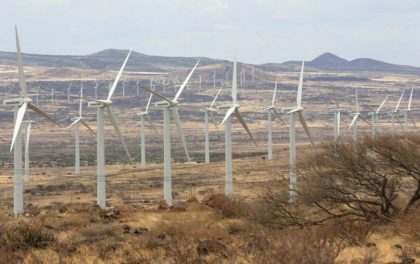 Africa and the Middle East installed 962 MW of new onshore wind capacity in 2018, up by more than 300 MW from a year earlier, the Global Wind Energy Council (GWEC) said Monday. The total installed wind capacity in Africa and the Middle East now stands at 5.7 GW with the GWEC forecasting that an additional 6.5 GW will be added by 2023, this would mean more than double the current installed capacity of 5.7GW. It said it expects wind installations of more than 1 GW each year. “GWEC is especially watching the development in the Middle East,” he said. “Even though, no new capacity was installed in South Africa during 2018, during the summer state utility Eskom signed PPAs from previous auction rounds. Further, the industry expects the fifth round of the Renewable Energy Independent Power Producers Procurement Program (REIPPPP) to take place during H1 2019,” Karin Ohlenforst added. Growth in renewables is a priority across the world in a bid to meet international climate agreements whilst satisfying rising energy demand. It forms a crucial part of the solution to reduce emissions, strengthen the energy mix and boost investment into local economies, the GWEC argues.